Brendan Drachler (pronounced Drack – ler, rhymes with Crackler) is an Astrophysics PhD Student at The Rochester Institute of Technology working to understand how we can detect the most dense and energetic objects in our universe – black holes and neutron stars. He is also working to understand the fundamental structure of black holes and how we can learn more about them. Brendan has spoken on topics ranging from our Solar System, to the nature of Dark Energy, to Supernovae, and many things in between. 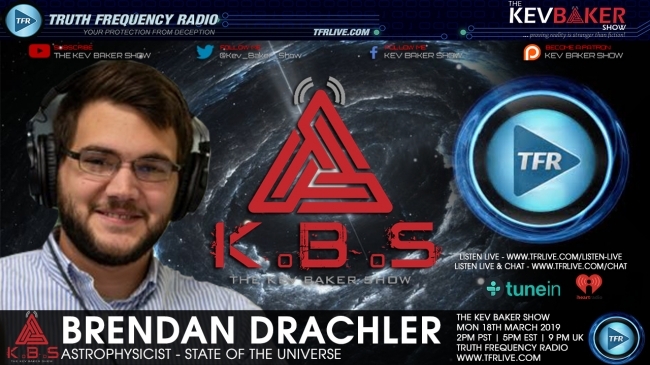 More information about Brendan and his outreach efforts can be found at TheStateofTheUniverse.com (The State of The Universe, all one word) where you can listen and subscribe to his podcast.